Oh, I do love a good a scone. And I’m not too fussy about the style. I love cake-like scones with a bit of icing on the top just as much as I enjoy the crumbly biscuit-like versions. This scone falls firmly into that second category. It’s substantial. Dense. Almost ‘heavy’ (in a good way!) because of all those healthy whole grains packed into such a small treat. 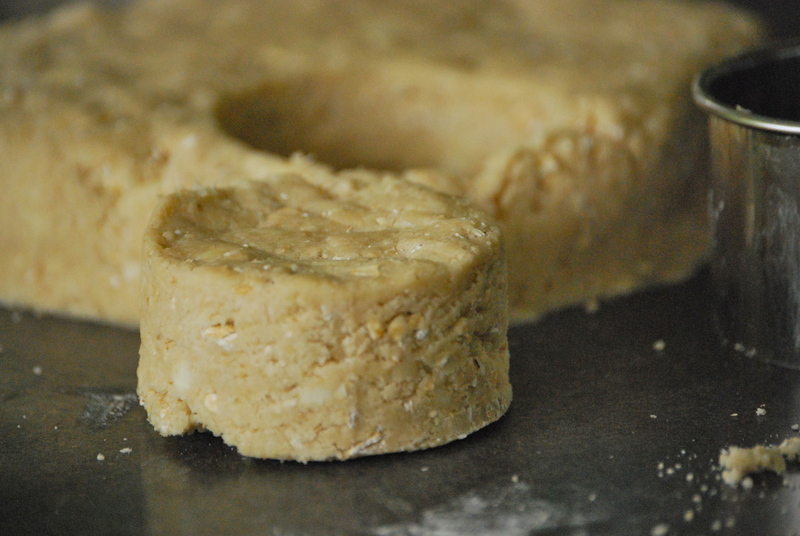 But it also has a nice hint of natural sweetness from the maple syrup, which marries incredibly well with those oats. These scones come together in a flash, so they are perfect for a lazy weekend morning. Be sure not to overwork the dough, as the irregular cold butter chunks make for a wonderfully textured scone. When you bake these, the cold butter leaves behind empty air pockets which add a fantastic, flakey texture. Yes, chunks of butter are a good thing. I decided to not put any sugar in the scone (aside from the sprinkles on top), and instead let the sweetness of the maple syrup come through. It worked perfectly. I like to eat these treats with a smear of butter and a little maple syrup on the side. Enjoy! Preheat the oven for 400°F. Position rack to the middle of the oven. Line a baking sheet with parchment paper. 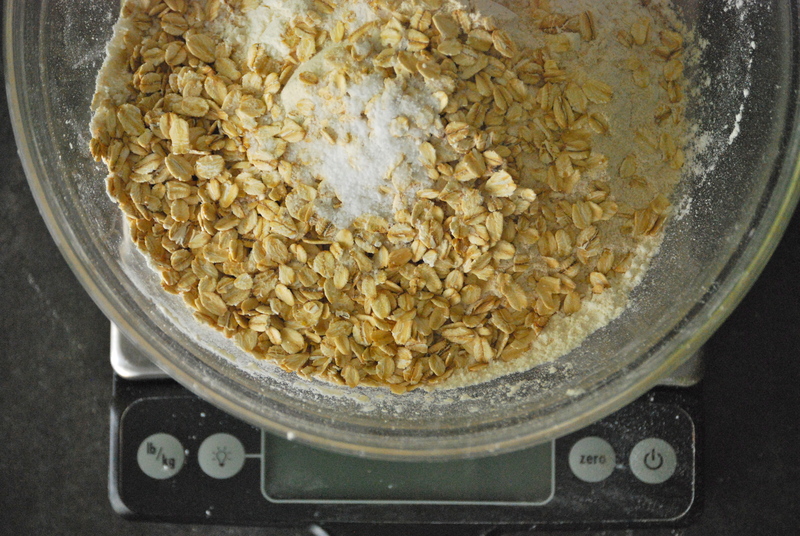 Add the flours, oats, baking powder, and salt together into a bowl. Whisk them together. With a pastry blender, a fork, or your fingers, work the butter into the flour mixture until it resembles small breadcrumbs. (Note: a food processor can also be used, but I would recommend mixing in the oatmeal by hand at the very end, so it retains it’s shape.) It’s ok to have some irregular chunks of butter. In a small bowl, mix the buttermilk and maple syrup together. 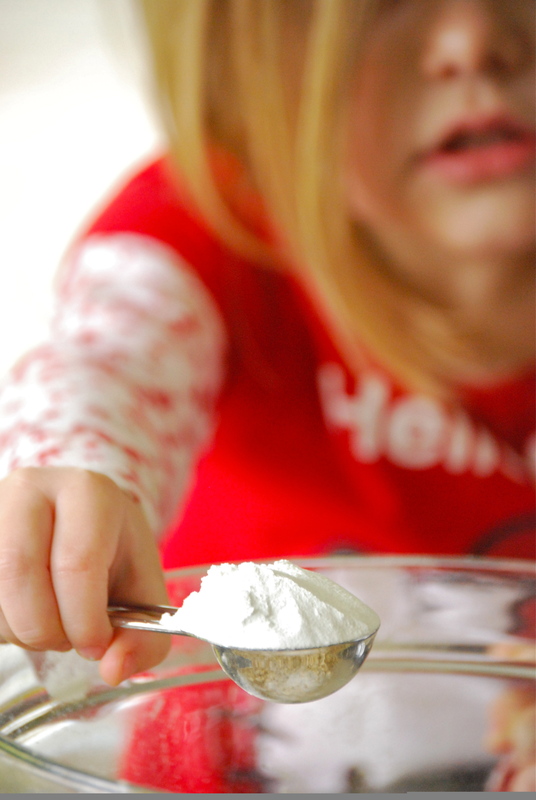 Pour them into the flour mixture and either by hand, or with a rubber spatula mix it all together to form a dough. Do not over mix. If the mixture feels too dry, add a bit more milk. This particular dough should not be sticky. On a lightly floured surface, pat the dough out until it is about 1 1/4 – inches tall. Using a 2-inch cutter cut the dough into about 7 rounds and place them on the parchment- lined baking sheet. Or cut them into 6 larger wedges, if you don’t have a 2-inch cutter. Using a pastry brush, top the scones with the egg wash and sprinkle with the turbinado sugar. Bake them for 15-20 minutes, or until they are golden brown. These scones are best if eaten on the day they are made. They will dry out a bit after that, but certainly nothing a little smear of butter and a drizzle of maple syrup can’t help. Enjoy! Hope you’re all having a lovely week — thanks for stopping by! This is a gorgeous scone! I will be trying this one as soon as I can taste again. Wonderful pictures as usual, my friend. 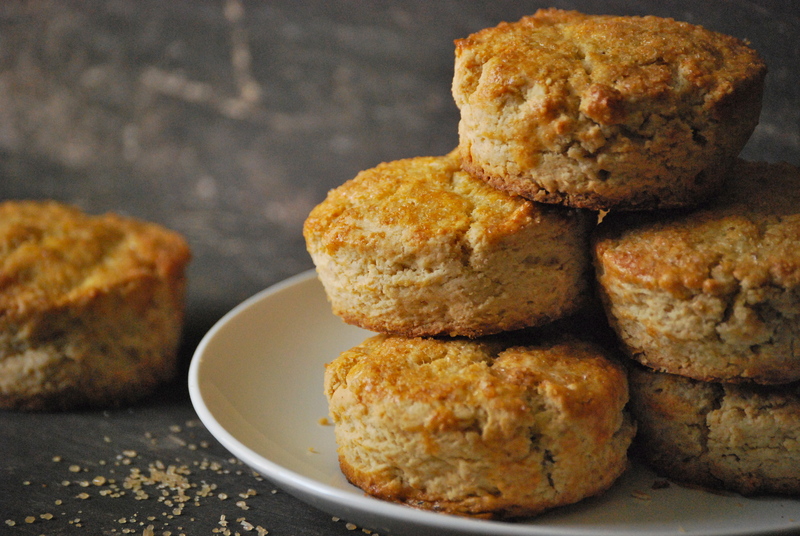 What a lovely combination of flavours – these scones look wonderfully hearty and delicious. These look delicious! 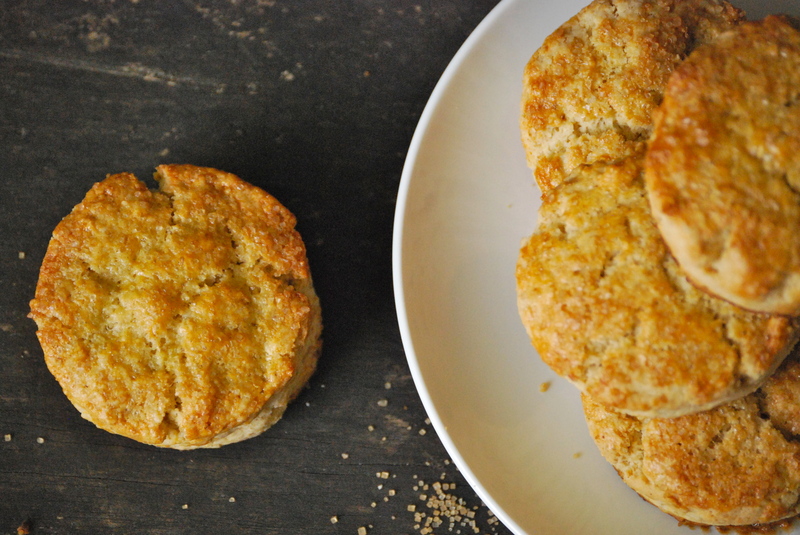 I love the little bit of whole wheat flour in these – and I love that they’re so simple. I’m always intimidated by biscuits and scones and things, but these look great! What wonderful looking scones! I haven’t made scones in years (after a very bad first go!) but after seeing these and hankering after that oaty/maple syrup flavour, I just might have to! Yum! They are very easy, Jen. Totally worth a try for that oat/maple combination. It’s delicious!